First light of a great new day on the mountains. 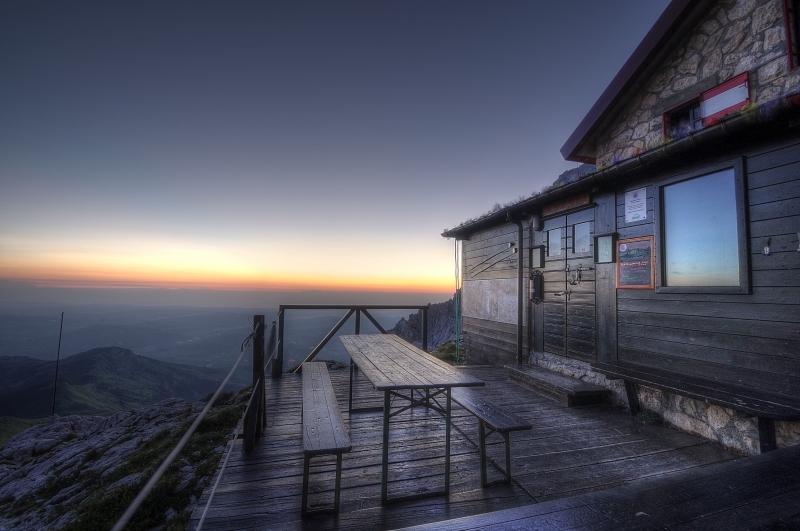 Rifugio Carlo Franchetti (2.433 m), Parco Nazionale del Gran Sasso e Monti della Laga, Abruzzo, Italia. This mountain hut is just between and offers a great view of the two horns, the two major peaks of the park, Corno Grande (2.914 m) and Corno Piccolo (2.655 m).